I started dealing with computers in 1986 with my first love, the C128, which in fact I mostly used in the C64 mode, because the C128 never really had its breakthrough. 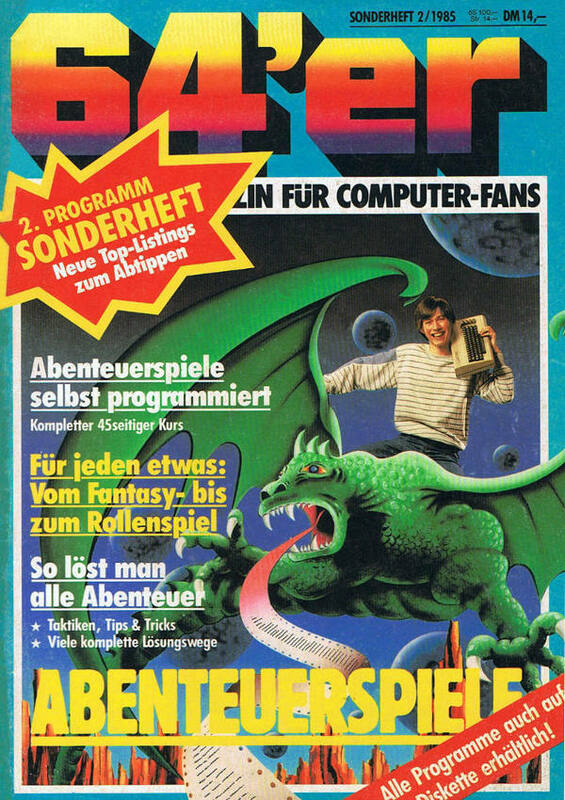 As most kids I was interested in games, and beyond this I was interested in coding. Actually, I was mostly interested in coding games. 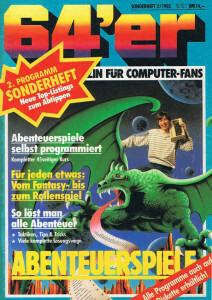 😉 As a bookworm I loved adventures very much, and this magazine on the right was a present to me from someone in one of the first computer clubs, when I was twelve. I still have my version of this magazine. After I got used to programming text adventures, I was a bit disappointed with how stupid and non-interactive most non-player characters were. So I tried to make them smarter, which led to a lot of if-statements in a basic dialect. In a way this task continued during my whole teenager computer career from C128 in basic and some assembler to the Atari ST1040 with Pascal in the late 80s and my first PC 486 in the early 90s using C.
During all these years my major interest in a computer was playing a good game, coding not that good games – most projects suffered at the 80%-level – and in these games the intelligence of non-player characters was the most interesting subject. My enthusiasm concentrates on strategy games, adventures and role games (RPGs). So now, I've studied now Philosophy Mathematics and Jurisprudence Physics, Medicine, and even, alas! Theology Computer Science all through and through with ardour keen! Here now I stand, poor fool and see I’m just as wise as formerly. In fact, I am more optimistic than Faust and maybe a bit wiser than I was, before I started studying… But I am still not satisfied and hope to learn and teach some more in this area to make stories and adventures in computer games more a place to play without less limitations in dialogues and interaction with non-player characters.